Steel is one of the most crucial construction metals in the world. This may be common knowledge, but many do not understand the difference between carbon steel and other types of steel. Like any other specific type of steel, the carbon version of this metal contains specific properties unique to itself. 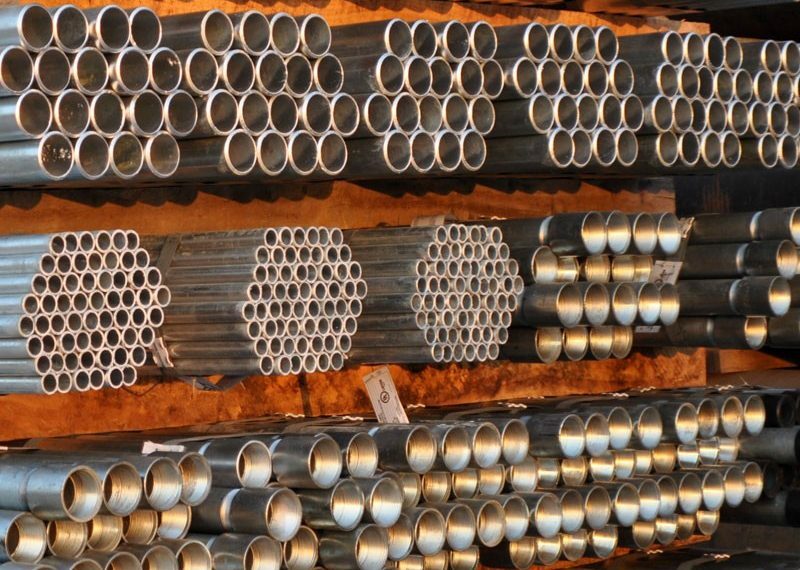 In addition, it boasts both unique advantages when compared to other types of steel. We will discuss the metal properties of carbon steel. Carbon steel is any type of steel that contains over 0.8% carbon but less than 2.11% carbon in its composition. Typically, the average level of carbon found in this metal falls right around the 1.5% mark. Carbon steel has a reputation for being particularly hard. However, the extra carbon also makes it more brittle than other types of steel. This type of steel is the most likely to fracture when misused. Carbon steel pipe is highly resistant to shock and vibration. Therefore, fluctuating water pressure or shock pressure from a water hammer have little effect on steel. Today’s heavy traffic conditions impose much stress on roadway foundations. Carbon steel pipe is practically unbreakable in transport and service. Therefore, it is okay to lay water mains under roadways. Also, steel has high tensile strength, elasticity and ductility. Therefore, this allows for safe use of pipes for very high pressures. In addition, a carbon steel pipe can consist of other materials much thinner. Therefore, they have a greater carrying capacity than pipes of other materials with the same diameter. These are just the metal properties of carbon steel. Stay tuned for the rest of metal properties series. Don’t hesitate to contact Bryan Hose & Gasket with the link below for more information on stainless steel properties.